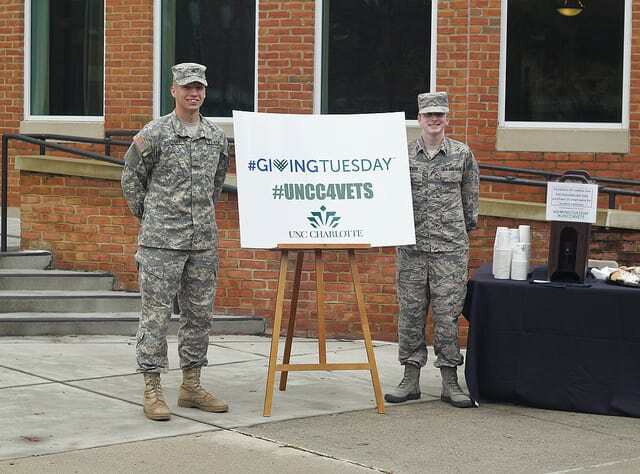 Help outfit UNC Charlotte's Corporal Robert Qutub USMC Veterans Lounge with technology upgrades this #GivingTuesday. The Corporal Robert Qutub USMC Veterans Lounge provides a study space as well as a common space for student veterans to gather together. Named in honor of Robert “Bob” Qutub (’88), a generous supporter of a variety of campus initiatives, the lounge serves UNC Charlotte's student veterans while they earn their undergraduate or graduate degrees. 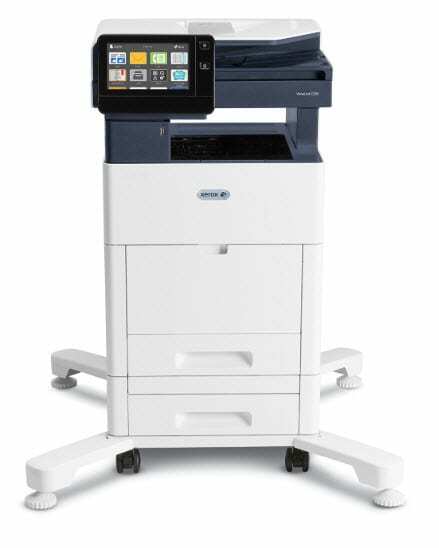 By providing technology upgrades, including a new printer (like the one below), you can enable UNC Charlotte’s student veterans to most effectively make use of this innovative space. Please support this special project to help UNC Charlotte's student veterans achieve their educational goals by giving back to those who have served our country. First, there is a day of thanks. Then, there are three days of getting deals. Now we have a day to give back. Following Black Friday, Small Business Saturday, and Cyber Monday, #GivingTuesday is a global day dedicated to giving and celebrating generosity. For UNC Charlotte, this is a day that brings the community together to transform how people think about, talk about, and participate in the giving season. We will celebrate giving and service by expressing our gratitude for those who selflessly dedicate themselves to serving our country. On November 27, 2018 students, faculty and staff will have the opportunity to write a note to a U.S. service member stationed overseas who is unable to spend the holiday season at home. There will be four locations on campus (EPIC, Student Union, SoVi, and the Lawn near Cato) where anyone can stop by between 10:00 AM and 2:00 PM to write a note to our troops. Your donation could help cover the cost of printing materials. Your donation could help cover the cost of toner for the Qutub Veterans Lounge. Your donation could help cover the cost of a printer for the Qutub Veterans Lounge.